Since the day Olivia came home from the hospital we used the Original Ergobaby Carrier with the newborn insert. It was a gift from my aunt. As soon as I would put Olivia in she would calm and I would be able to get some things done. We absolutely love it for trips out shopping, keeping her soothed while doing chores and morning walks. 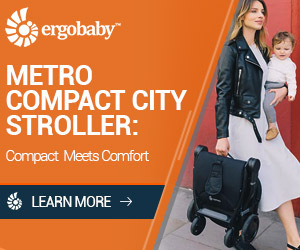 Recently, Ergobaby launched a new carrier, the Ergobaby Cool Air Mesh Carrier. After using it for the last 60 days I thought it would be helpful to other Moms if I did a quick review and comparison. We used the Ergo Baby Cool Air Mesh Carrier for the first time on a hike up the mountain near our new home. It was a warm day and I knew it was going to be warmer the farther we hiked in. It was easy to set up and easy to get Olivia in. I really liked the charts on when to move your baby up to the next sizing, how to use the straps either in an H strap or X strap to distribute weight easily and the neck support that can go up or down for napping babies. The carrier has a detachable pouch so I was able to just throw in my phone and keys and go hands-free. Compared to the Ergobaby Original baby carrier the Ergobaby Omni 360 Baby Carrier All-In-One Cool Air Mesh was WAY cooler after the hike. I usually have to peel Olivia off me but didn’t have to unstick her with the new baby carrier. The seat also seemed to have a bit more support for hiking and workout than the original. But, I prefer the cloth privacy shield, the mesh one makes a crinkly noise and the storage for phones, keys or other items on the original worked better for me. Overall, I really liked the Ergo Baby Cool Air Mesh Carrier for warmer weather and exercise. I used it to work out the other day at my Mommy group and it was a great way to keep Olivia from fussing. The mesh venting really keeps me and Olivia from sticking together! My husband, who runs really hot, prefers it to the original because of how much cooler it is. But, the really cool part is how it grows with baby. From the seat support adjusting, the neck adjustments and the fact that you can rear chest face, forward chest face, back carry and even side carry! This carrier is perfect for events, carnivals, hiking, and warm outdoor events. For Winter, I’ll probably keep the original model. The thicker material and warm privacy hood are great for colder weather. The Orginal also works better for me on shopping trips or quick runs to the market. The pocket space can totally hold the contents of my handbag and a few toys for Olivia. 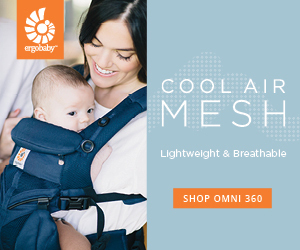 The Ergobaby Omni 360 Baby Carrier All-In-One Cool Air Mesh comes in nineteen colors– including a super cute Hello Kitty Pink! Now for a limited time, Ergobaby is offering HBG readers 10% off any one item. 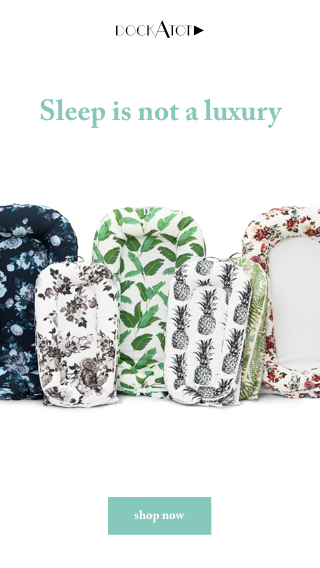 Good for carriers, sleep sack, and strollers! Use code jo8KbuYBBM at checkout. Ergobaby sent the Ergobaby Omni 360 baby carrier for me to review. Loving this Ergobaby Omni 360 review? Take a look here for more of my home + lifestyle favorites! Check out my review of the Ergobaby classic sleeping bag over on Instagram.